In Sasak Lombok society, this Lombok temple is known more as Agung Gunung Sari temple. But the real name is Gunung Agung temple, a name which has connection to the founder and the establishment history. 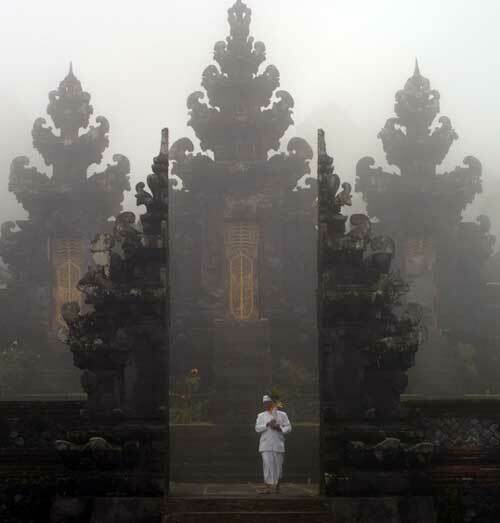 Gunung Agung temple was built in 1717 by Anak Agung Ketut Ngurah Karang Asem, as a form of thanks. As a war commander at that time, Anak Agung was succeded to finish his duty to win battle in Lombok land between Sileparang and Banjar Getas kingdom. Before departing to fulfill the call of Sileparang’s king, he got a feeling that the duty would be difficult. Hence, he visited one of praying places in Agung mountain to beg for easiness. Once he was succeeded and would go home to Bali island, he and his troop stopped by in a place which full of old trees, animals and a spring. In that place, he felt a special tranquility. So he decided to stay, built a palace, and a temple. The temple he built which then named after the place he visited before he went to Lombok, Gunung Agung temple. 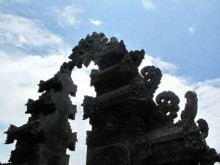 Gunung Agung temple located not far from Mataram Lombok city, approximately 8 km. There is no public transportation which pass the temple, so you have to use personal/rental car. 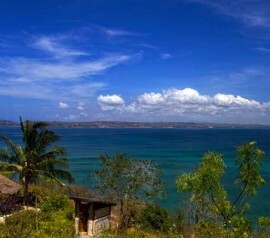 If you’re heading from Mataram Lombok city, you can take route Udayana street-Rembiga (old airport)-Gunung Sari. In Gunung Sari’s four junctions, turn to right about 600 m, and turn to right again till you find landy street. After 200 m in landy street, you will already in Gunung Agung temple area. The temple is in your right side. 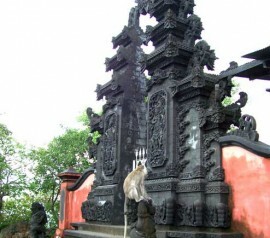 Not like Suranadi Temple, there are only few domestic visitors come to visit this temple, so does the foreign visitors. This Hindu temple position which located quite ‘deep’ that predicted to be the cause of it, so not so many people know about this Lombok temple. First time entering the temple area, the natural and Hindu spiritual atmosphere is so strongly felt. The smell of joss stick which burnt by visitors and the smell of flowers in the temple’s area will began to be sensed. Not only Hindu people who want to pray which allow to visit this temple, but everyone is allow to come and visit this place, either to see the building’s architecture or merely sightseeing to feel the spiritual tranquility ala Gunung Agung Temple. Once you enter the temple’s gate (Madya Mandala), you will see bale banten, a place where Hindu people prepare upakara (praying equipment). Then, you will see a worship place which completed by Ganesha statue in the right side, and goddess Uma statue in the left side. In Utama Mandala (the main part of the Hindu temple where peoples do the pray), you will see padmasana (throne of Ida Sang Hyang Widhi Wasa or God) and other supporters. When you go looking around the temple area, and watch every angle, you will see an architectural building full of philosophy. This Hindu temple building seems to bring you in the 17th century. If you come to visit, don’t miss an angle of it so you will feel the spiritual atmosphere. 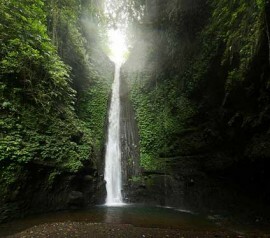 Also mentioned: gunung agung lombok, sightseeing to gunung agung, agung temple. You better tell about your coming to the caretaker. The caretaker’s house is in front of the temple. Use polite clothes with shawl twist in your hips if you want to enter the temple’s area. Don’t bring any food or smoking in temple’s area. If you want to ask to the caretaker, request a time outside the worship time. 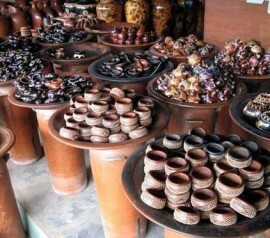 Spare your rupiah to be donated for temple’s maintenance, then fill the guest book. Public Facilities: parking area, snack stalls, and toilet.